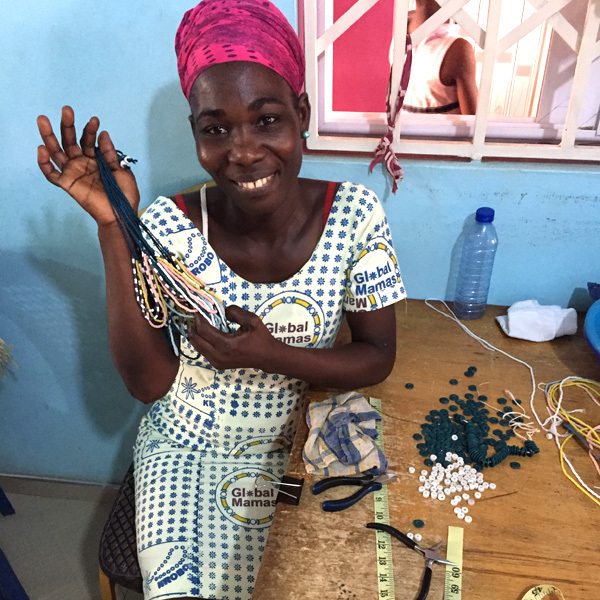 Last January, I traveled to Ghana to visit the artisans who work with the non-profit Global Mamas. 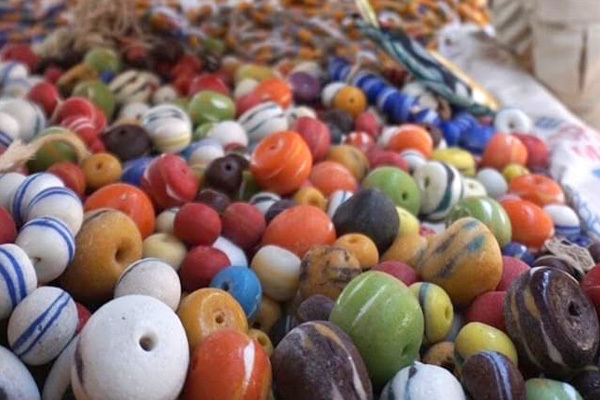 We spent a day with the bead makers in Krobo just a couple of hours outside of Accra, the capital. As we watched them work, I was blown away by the process! What begins as a sheet of plain glass gets transformed into colorful beaded jewelry! 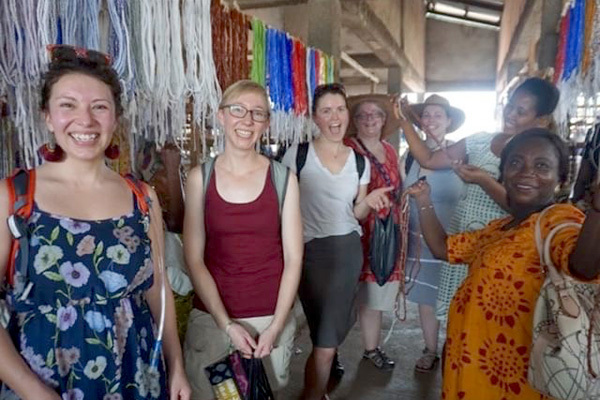 We were hosted by Moses and Grace, a brother-sister beadmaking team! They have been working on this craft for 30 years, and have been working with Global Mamas for 15 years. 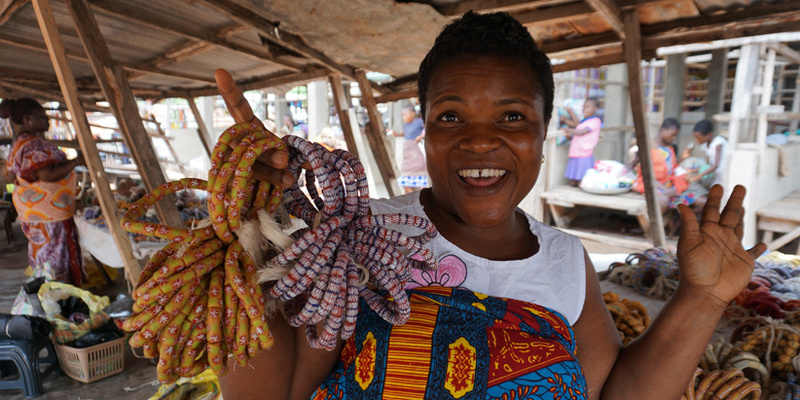 Moses and Grace are able to sell their beads to Global Mamas for a fair price. 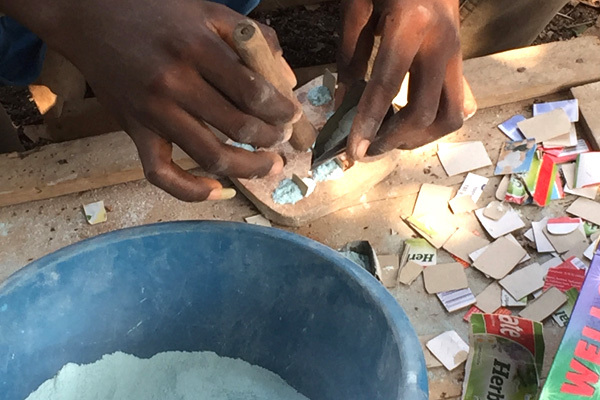 As skilled craftspeople, these two are often given the challenge of creating samples of new bead designs that the Global Mamas design team dreams up. Their work is an integral part of the process of translating ancient techniques into modern designs. Local clay us used to create a mold for each glass bead. 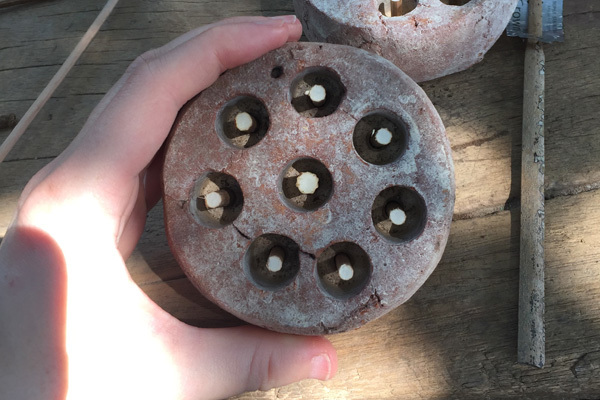 Once the mold is formed, small reeds from a casava plant is placed in the center to create the hole in the bead. 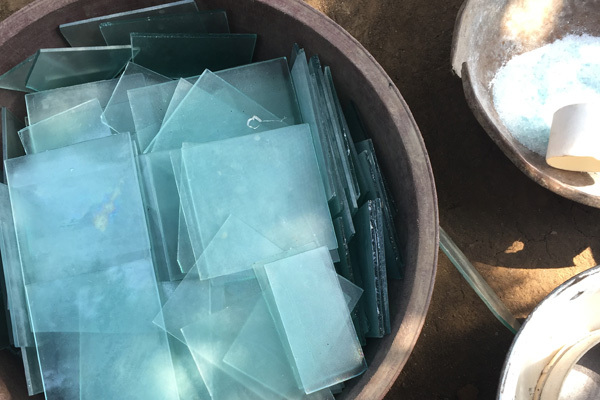 Artisans collect recycled glass, mostly from window factories. 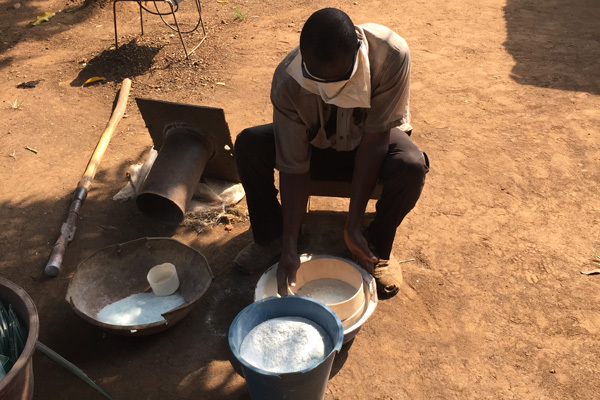 This glass must be pounded sifted until it resembles a fine powder. 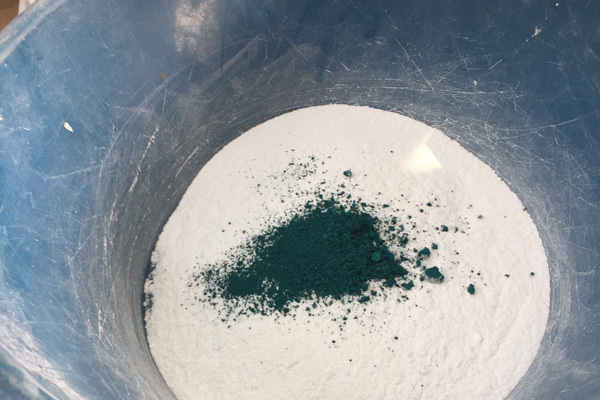 The powder is then mixed with dye to create each vibrant color. One by one, the molds are filled with the glass powder. 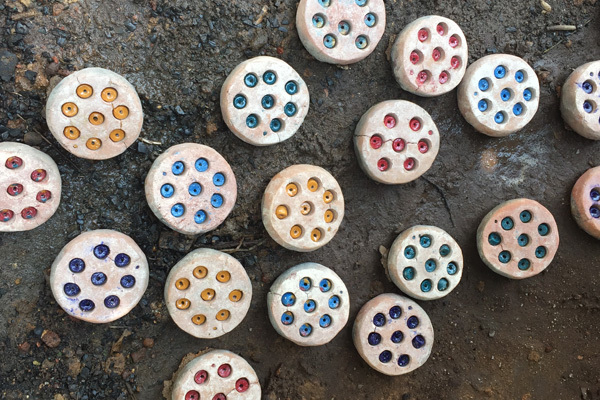 The blazing hot furnace melts the glass and burns out the casava reed to create beads! Rough edges are sanded down to result in a smooth bead! 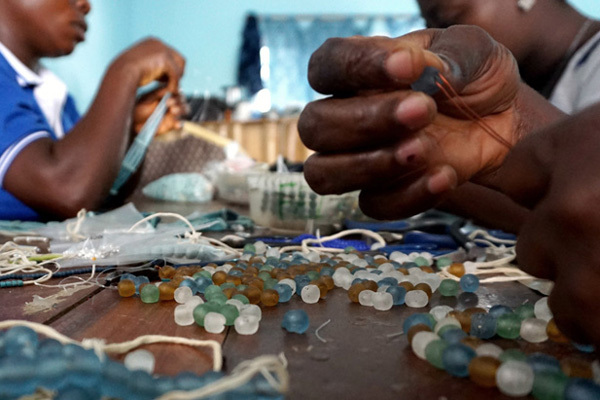 Global Mamas' team of 30 jewelry-makers transform these individual beads into lovely pieces of jewelry! 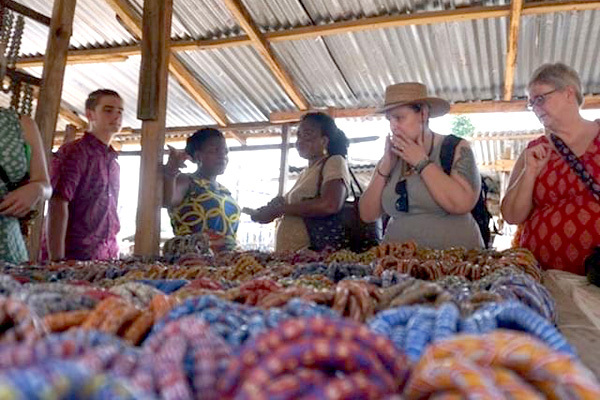 After our visit with Moses, Grace, and the team of jewelry-makers, we made a stop at the local Krobo bead market. This place is jewelry-makers dream come true. Booth after booth is filled with colorful pebbles of glass—all shapes, colors and designs! Shop our collection of glass bead jewelry online, or in our store in San Luis Obispo!